Clean and healthy environment is the need of the hour where overflowing garbage bins have been a cause of concern for the residents of the developing countries. With increase in population, the cleanliness with respect to garbage management is degrading tremendously. Open and overflowing containers prove to be a breeding ground for germs. Traditionally municipal corporations operate on weekly routes to pick up trash only on some of the designated days of the week, regardless of whether the containers are full or not. As a result of rapid growth of technology, life of mankind has got automated. One of the major contributors to this automation is Internet of Things, also known as IoT. This idea is based on the mutual working of IoT and cloud server. Sensors installed under the lid of the trash cans compute the distance between the lid of the can and the garbage level. Using this data when the trash level reaches 85% of the total capacity, a message from the trash can, will be sent to the servers notifying them that the trash can is full. Then the municipal corporations can send vehicles only to those areas where the trash can is full, thereby saving time as well as fuel due to optimized route for garbage collection instead of visiting all the blocks to check each trash can individually. There is no need to install new trash cans for this purpose; instead this technology can be implemented into the already existing trash cans to bring down the capital investment. Thus a smart and cost effective equipment like this would be beneficial in the long run. Keywords:Sensors, Automation, IoT, optimized, investment, cost effective. Narayan Sharma, Nirman Singha, Tanmoy Dutta : IJSER Smart Bin Implementation System, Volume 6, Issue 9, September 2015. Vikarant Bhor, Pankaj Morajkar, Maheshwar Dutta, Dishant Pandya : IJERT Smart Garbage Management System, Volume 4, Issue 3, March 2015. Gaikwad Prajakta, Jadhav Kalyani, Machale Snehal: IJERT, Volume 4, Issue 3, March 2015. Jebah Kumar, Abishlin Blessy : IJCSIT, Volume 5, 2014. Kanchan Mahajan, J.S. Chitode: IJIRSET, Waste Bin Monitoring System Using Integrated Technologies, Volume 3, Issue 7, July 2014. Marian Look, “Trash Plant: India”, earth911 B.
Adil Bashir, Shoaib Amin Banday Ab. Rouf Khan, Mohammad Shafi: IJRITCC, Concept, Design and Implementation of Automatic Waste Management System, Volume 1, Issue 7, July 2013. 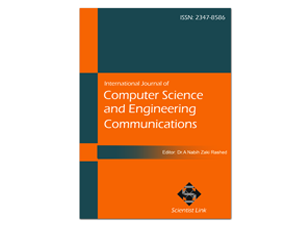 Insung Hong, Sunghoi Park, Beomseok Lee, Jaekeun Lee, Daebeom Jeong, and Sehyun Park : The Scientific World Journal, IoT-Based Smart Garbage System for Efficient Food Waste Management, Volume 2014, Article ID 646953.